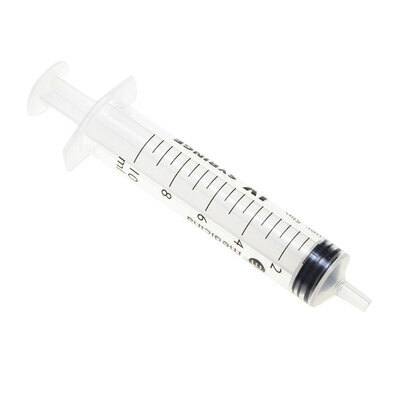 For economical purchase and ideal for businesses who deal in medical administration such as care homes, our 100 pack of 10ml Luer Slip IV Syringes offer a sterilised and easily disposable option. The all clear construction allows sight of the highly visible milliliter scales ensuring the accurate measurement and distribution of each medicine. Each luer slip syringe comes individually wrapped and sterilised for instant and single use making them an economic choice for busy work environments. A double-contact gasket ensures an airtight seal while the definite 'end stop' prevents accidental exposure to additional liquids or medicines. Gompels stock a wide range of Luer Lock and Leur Slip syringes, all individually packaged and pre-sterilised for instant use. Why not take a look through our Needles section too and make sure you have everything needed to ensure every patient receives their proper, timely care.